Home decorating with Red can be as easy as updating your tablecloth or napkins. Or a little more involved like painting a room or accent wall a beautiful shade of red. Then again, decorative accessories like draperies & pillows will carry your space with a bold design. Finally, seasonally change out area rugs for a quick pick-me-up. First, with Valentines Day coming up a tablecloth with a red design will provide the perfect backdrop for your fabulous dinner! The tablecloth below is from our Home Design Shop, IntentionalDesigns.com, Winter Rabbits Tablecloth. 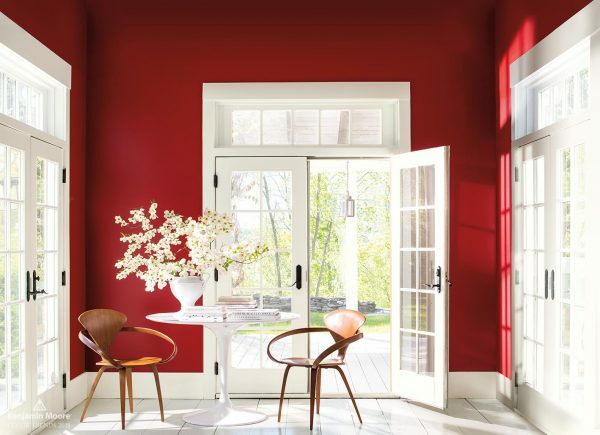 Second, for a more permanent addition of red into your home try a beautiful new paint color. The paint color below is from Benjamin Moore 2018 Color of the Year, Caliente AF-290. And if painting the entire room red is too much, try painting one accent wall. 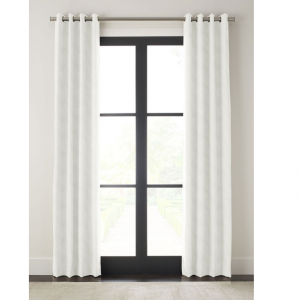 Third, accessories such as draperies or pillows will create a color palette for an otherwise neutral room. From HouseBeautiful.com, How to Conceal Clutter, Interior design by Ann Wolf, Red & White Daybed area, Red Toile draperies. Lastly, adding color in an area rug is a great way to get a dose of red into your room. 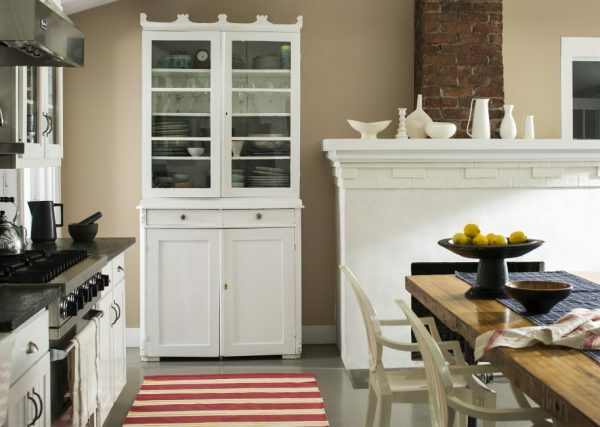 Visit Benjamin Moore more Kitchen Color Ideas. So when you think of updating a room in your home, whether its a dining area, bedroom or kitchen, begin simply by switching out accessories or paint color. Because when you begin to add a new accent color, the rooms color palette will shift to a degree depending upon how much of the new color you add. Therefore, if you are looking for a quick change with little color commitment, try accessories. But if you want to totally revamp the space, begin with a plan, painting may be the answer for you. 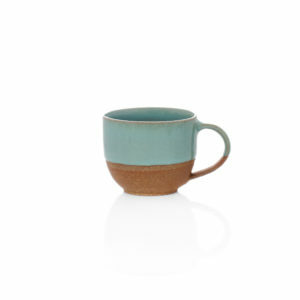 Are you looking for a little something new for your home this week? Then take a look at our Home Design Shop, IntentionalDesigns.com.